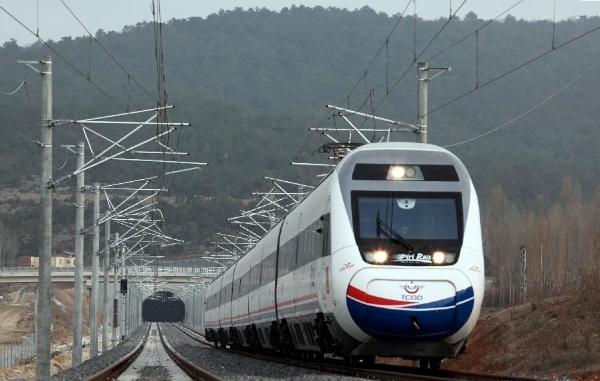 China has invested more than 265.1 billion yuan ($43.3 billion ) in domestic railway construction in the first half of the year, up 12.7 percent from one year earlier, China Railway Corporation has announced in Beijing. In the first six months, an additional 2,226 km of new railway lines were put into service, the company said in a statement. Chinese policymakers have said some 8,000 kilometers (about 5,000 miles) of railway lines will be opened to domestic traffic this year. China is investing more than 800 billion yuan ($128 billion) in domestic railway construction in 2015, the same as last year’s final target, while pledging to increase its railway makers’ overseas market share, Chinese Premier Li Keqiang said in his annual state-of-the-nation report earlier this year. To bolster a slowing economy, the Chinese government has made railway infrastructure one of the seven prioritized sectors for investment and export. China is competing aggressively for overseas rail projects, targeting emerging markets in Africa, Eastern Europe, Latin America and Southeast Asia while also pitching for high-profile contracts in the US and EU. China’s two largest locomotive equipment makers, China CNR Corp. and CSR Corp., have jointly signed more than $6 billion of overseas contracts last year, up 60 per cent from 2013, official data shows. Our ICE (Intercityexpress) trains break down because air-conditioning does not function because of the heat outside! For years hundreds of ICE train had to repaired because the wheel(-axles) were poorly designed. Toilets sometimes look like swimming-pools – full of water on the ground. The IC (Intercity)-trains (no high-speed) from Berlin to Amsterdam are more than 30 years old. If it is hot outside trains are evacuated and passengers must board other trains (last year passengers were left on their own in the Netherlands after air-conditioning broke down and the train had to stop). It seems that China set its priorities right compared to Germany. Here railway-infrastructure is decaying – they try to build a new fancy station in Stuttgart, but the railway itself is going down the drain.